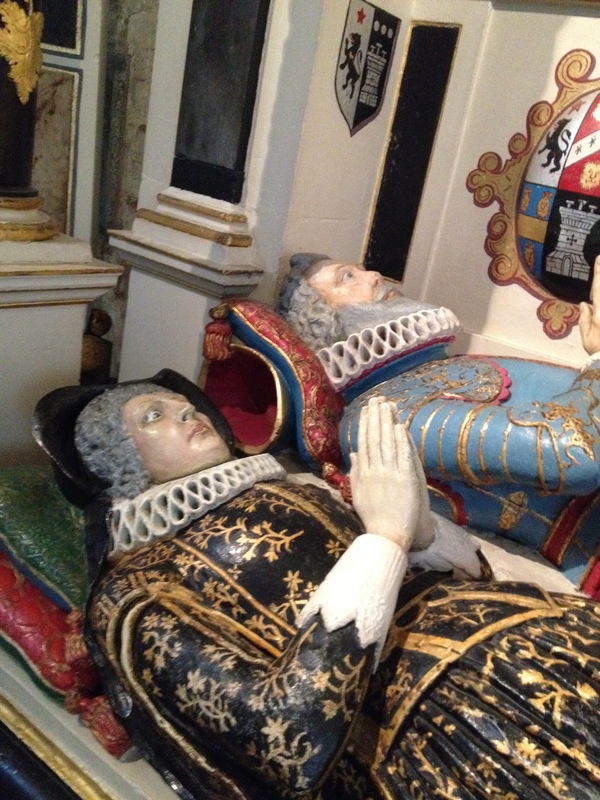 In glorious Salisbury Cathedral, I came upon these two striking effigies, looking much more colorful than most of the effigies lined up along the nave. They somehow looked startled. Also they lay in the opposite direction of most of their companions. The closer I got to them, the more curious I was. Who were they, and what was their story? As luck would have it, the photo I took of their names did not turn out. What to do? I posted my photos on one of the Facebook history groups I belong to, and had the answer within minutes. 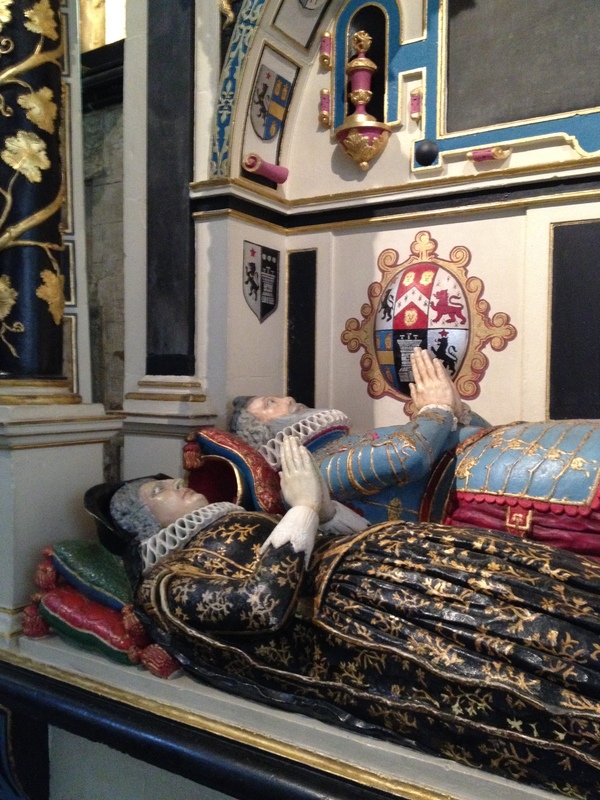 I was looking at effigies of Sir Richard Mompesson and his third wife Katherine. Sir Richard was a local gentleman and politician, a Member of Parliament. He died in 1627. He had made judicious marriages and enjoyed a comfortable life. His family owned an early version of nearby Mompesson House, which is now a beautiful National Trust property. I think I read a placard in the cathedral stating that the tomb of the Mompessons was facing a different direction from most, because it had once been repositioned during a change in the Cathedral. 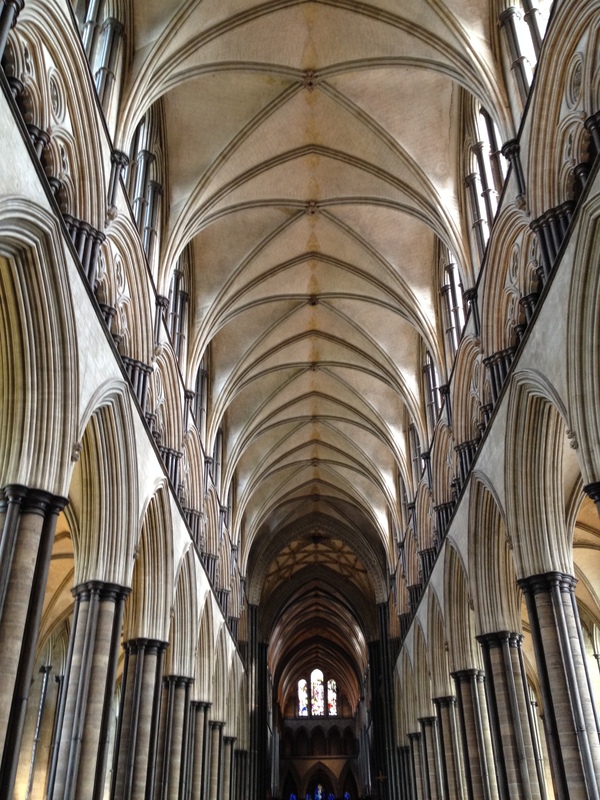 The Mompessons must enjoy their view of the very beautiful Gothic ceiling of soaring Salisbury Cathedral. If those wonderful arches were my view, I’d keep my eyes wide open too. Salisbury is one of my very favorite cathedrals. I’m looking forward to entering its welcoming doors again. 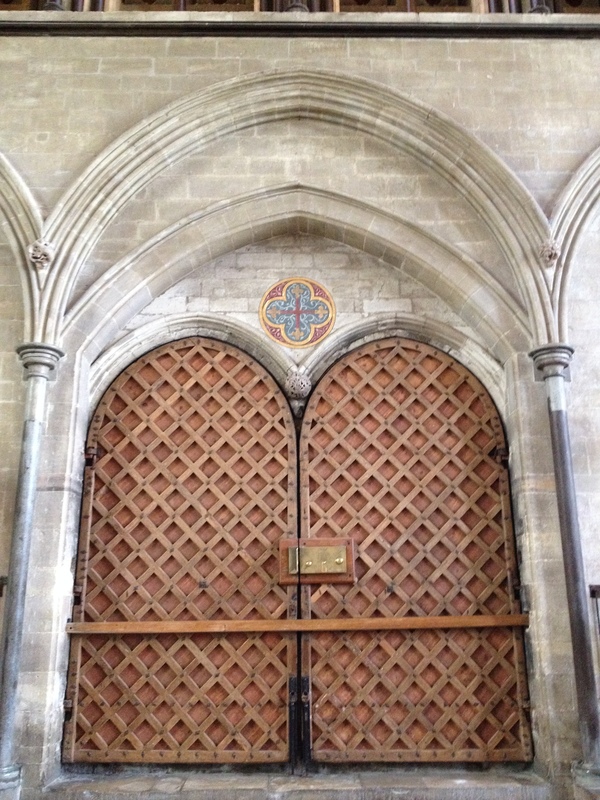 This entry was posted in Architecture, British Isles, Cathedrals and Churches, England and tagged Katherine Mompesson, Mompesson House, Salisbury Cathedral, Sir Richard Mompesson, tombs in Salisbury Cathedral on April 20, 2015 by Claudia Suzan Carley.